This report describes the findings of a landscape analysis conducted by our lead partner ICRW Asia in the 3D Program’s first year of operations in India. It includes information on the historical, demographic, social and economic context of our program site, Pune District, and outlines the administrative systems of Pune rural District. 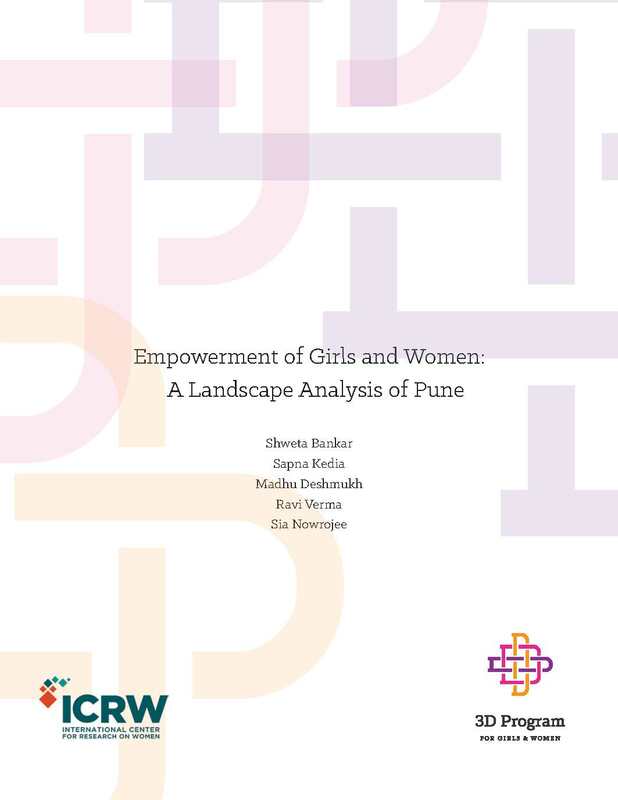 It also includes a situation analysis of the status of girls and women in Pune and a mapping of key health, education and safety initiatives for girls and women in rural Pune being implemented by government, civil society and the private sector. Initiatives on economic empowerment is covered in our report Economic Programs in India: What Works for the Empowerment of Girls and Women.